Previously announced, postponed several times, but the end of the Alouette III in the service of the Royal Netherlands Air Force is finally there. On December 31, an era ends. 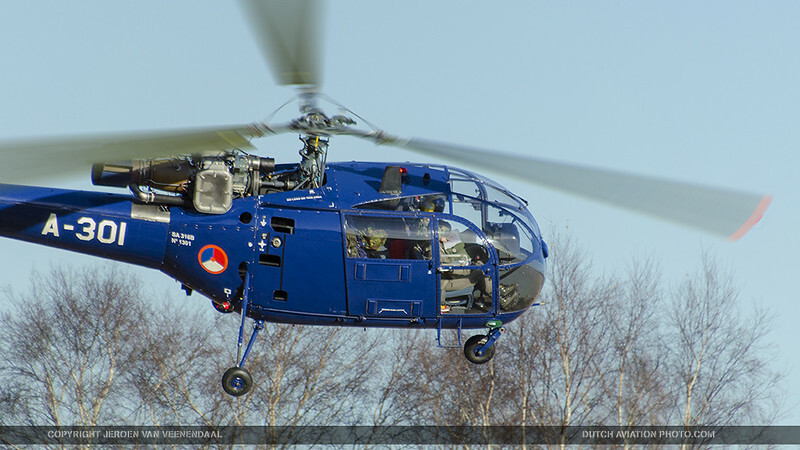 The Alouette III service ends after 51 years, no flights anymore for the remaining four royal blue helicopters. “We started with 77 Alouettes in 1964. They were implemented in the GpLV (Groep Lichte Vliegtuigen) (Group Light Aircraft), a forerunner of the DHC (Defensie Helikopter Commando) (Defence Helicopter Command)”” says Flight Commander Captain Robert de Lange. 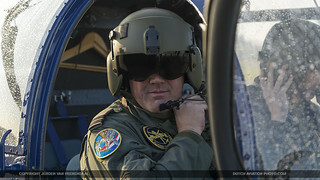 He flies the Alouette III helicopter since the early 90s.After the arrival of the first Alouettes in 1964, the emphasis was on building a fleet and the operational applications. The capabilities of the Alouette III were so much greater after the experience with helicopters like the Hiller Raven and the Alouette II. The transmission of this new helicopter at that time was therefore not compare with its predecessors. 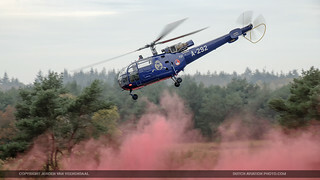 The Alouette III was embedded in all three squadrons GpLV (298, 299 and 300 Squadron) stationed on the airbases Soesterberg and Deelen, in addition to the already existing fixed-wing aircraft. 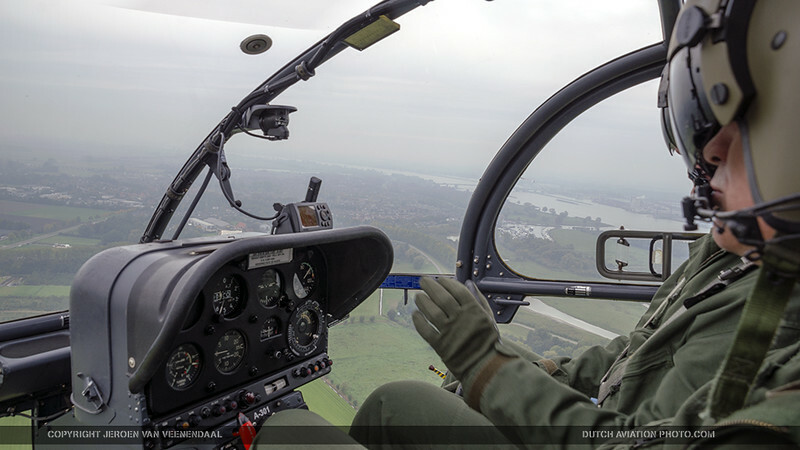 Also in the SAR / TAR (Search and Rescue / Tactical Air Rescue) role the machine was soon stationed on air base Ypenburg. The Cold War was progressing and therefore the Alouette helicopters could be found in former West Germany on a regular basis. During the many exercises the GpLV crews often trained together with the army colleagues on the north German plains. The given tasks were conducted to the satisfaction of customer and operator were conducted in all scenarios. Participation in the first serious operation was unfortunately on its own soil. 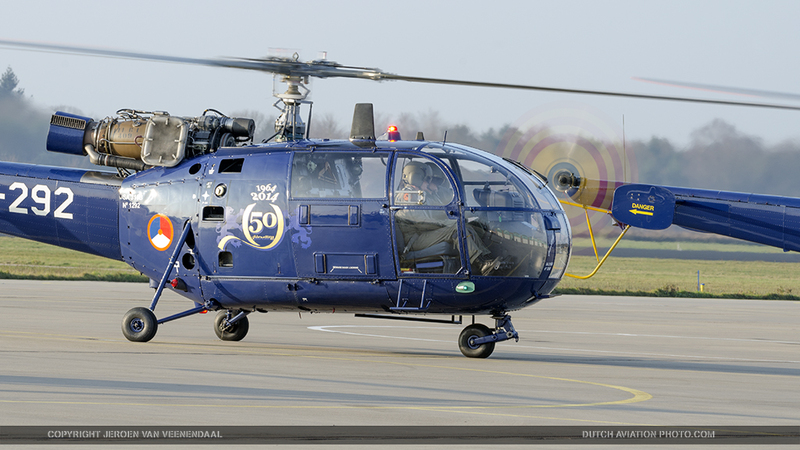 Several crews flew with the Alouette in 1975 during the hostage-takings in Wijster and Beilen. The Alouette was ideal as a Iiaison helicopter for members of the government and were flown to and from The Hague and Assen. Also, the first operational reconnaissance missions were flown prior to the deployment of the Marines. Another important national deployment at was in the harsh winter of 1979. GpLV- and SAR Alouettes were deployed on a large scale to the snowbound farmers in the north of the Netherlands to provide food for humans and animals. After the fall of ‘The Wall’ the many exercises in West Germany belonged to the past. The Alouette was quickly deployed to other defence tasks: foreign operational missions. It served during the flooding in Tunesia in 1970,was part of Operation Provide Comfort in 1991 after the first Gulf War. It was also deployed in the E.C. Monitor Mission in Croatia at that time, and for IFOR in Bosnia in 1996. We’ve done all kinds of tasks that were suitable for the Alouette. The space is not too big, but quite versatile, very flexible. 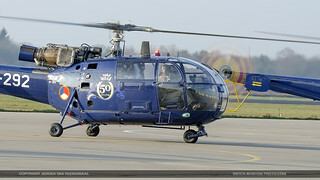 The machine is very reliable, which is also its strength.Gradually it appeared the Alouette III was becoming outdated. A ‘new generation’ of helicopters was bought, and put to service. Of the remaining nine Alouettes four were stored in shelters and five were operationally deployable. 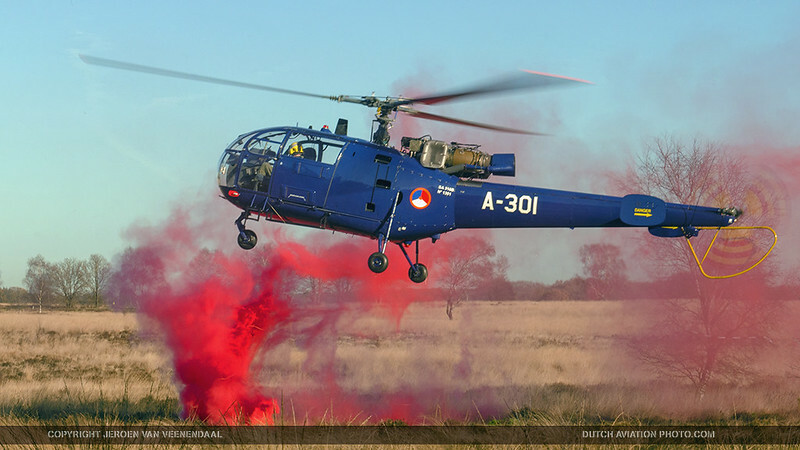 In 2000, the A-253 was no longer put through the so-called Groot Onderhoud Alouette III (GOAL) (Major Maintenance Alouette III), but was by the Air Force decided to keep the remaining helicopters (serials A-247, A-275, A-292 and A-301) in service until 2016. 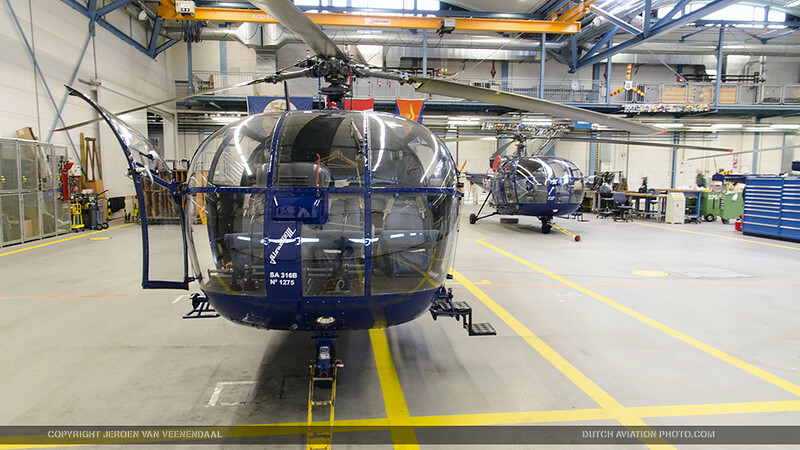 In 2004 all four helicopters passed through the GOAL at the Swiss company RUAG and were provided with a completely new color scheme: Royal Blue. In 2008 the Ministry of Defense decided to close airbase Soesterberg and move the 298 and 300 Squadron to Gilze-Rijen. Of the four remaining airframes since 2000, at least 3 were deployable every day. In my time as a flight commander, we did not have to cancel any mission due to mechanical failure. That is unique. All of the four Alouettes have around 10,000 flight hours. From the spring of 1967 five Alouette III helicopters were positioned in the SAR role and configuration at the SAR / TAR-flight as the successor to the Alouette II. Until the phasing out in 1994, the Alouette III was flown with a high succes rate, in all these years unfortunately one helicopter (H-08) was lost. The crew, though severely wounded, survived the crash. 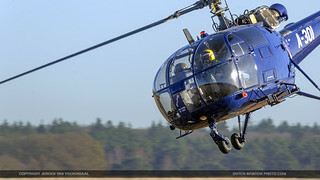 Besides Ypenburg, Soesterberg and Leeuwarden Airbase the helicopter was also flown from different locations on the islands of Terschelling and Vlieland. The helicopter display team The Grasshoppers (1973 -1995) was an important showpiece for the Royal Netherlands Air Force. It started life in 299 Squadron, where the grasshopper from the squadron emblem was the reason for the name. 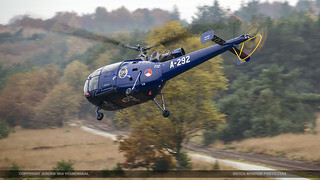 Because of the introduction of the Bolkow Bo-105 at 299 Squadron, the Grasshoppers were placed at 300 Squadron in 1979. Over a period of 22 years international fame was obtained with a team that managed to perform a show on a very professional level. Many team members, both pilots and technical personnel, have contributed to this positive image. It is primarily their credit that the Grasshoppers have been such a great success.